Dag Krister Volle, famously known by many as "Denniz PoP", was the Founder of the original Cheiron Studios. Denniz was born on April 26, 1963. He started out as a DJ at the age of 15. Through the years he came to be one of the most successful and influential DJ's in Sweden. A great inspiration to many young and aspiring DJ's in the country. Later he would become one of the greatest producers of his time and an inspiration for many young and aspiring producers throughout the world. In 1986 he teamed up with five other DJ's in Stockholm and formed SweMix Productions. They felt that remixes of the latest chartbreaking hits, suitable for the dancefloor, were missing, so they decided to make those remixes themselves. After a while they realised that their remixes sounded more like new songs than the orignal ones, so they started to record their own songs instead. SweMix Records was a natural development and this time around Tom Talomaa was included. Tom was the owner of Ritz, one of the most popular nightclubs in Stockholm during the 80's, where all of these 6 DJ's had spun records many nights, and where many legendary artists, such as Sheena E., Duran Duran and L.L. Cool J, among others had performed. SweMix Records was a strictly dance-oriented label. Denniz's first commercial hit was with the song "Hello Afrika" with Dr.Alban in 1989. He wrote the music and produced "Hello Afrika" and the album that followed with the same title. It became a huge success in Europe and the breakthrough for Denniz (and Dr.Alban). "It's My Life", on which Denniz wrote the music and produced, was the first singel from Dr.Albans second album. It was also the first European No.1 for Denniz (and Alban). It was during this period that Denniz recieved a demo from an unknown band in Gothenburg, Sweden. The demo got stuck in his cars cassette player so he had to listen to it repeatedly. One song in particular got stuck in his head after some driving, so he decided to produced it. The song was "All That She Wants" and the band was Ace of Base. "All that she wants" was their breakthrough-single in Europe (and later became a huge success in America). It was with Ace Of Bace's follow-up single, "The Sign", that Denniz (and Ace Of Base) had his first US No.1. The year was 1994. In 1993 Denniz and Tom started Cheiron together. The felt they wanted to widen the musical aspects and work with other musical styles than dance music. SweMix remained a production company for several years but does no longer exist. 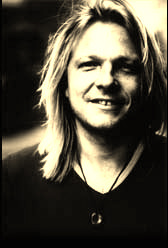 Shortly after the "The Sign" Denniz teamed up with Max Martin. They met when Denniz was to make a re-mix one of the songs Max's heavy-metal band It's Alive had recorded. The re-mix was never released but Denniz was very impressed with Max's musical skills and saw a lot of potential in him. So he asked him if he would be interested in collaborating with him. Together they wrote and produced songs for: the Backstreet Boys, Nsync, 3T, Rednex, Robyn, Five and many more. Together they won a swedish Grammy in 1998. Denniz also worked with Cheiron-producers Kristian Lundin (on songs with Dr.Alban and Jessica among others) and Jake (on songs with Five). Denniz won the Swedish DJ Award "producer of the year" five years in a row. We doubt anyone else will ever break that record. One of his dreams was to work with Michael Jackson. He got to do that on 3T's "I Need You" where Mr.Jackson did the "featuring" vocals. Denniz many times recieved the question what his greatest joy of success was. His reply was always; "To know that millions of feet are dancing to my music on a Friday night". Denniz was known for never reading instruction manuals to any electronical equipment. He sat down, spent some time playing around and soon figured out how it worked. He had a profound interest in computers and spent much time labourating with design-, film- and photo programs. He was also the master of games and games he loved. Whether it was computer games, softball, trivial pursuit, treasure-hunts or charades. He arranged gatherings for us at Cheiron and even for the whole swedish recording-industry, when we spent whole days playng together. He was always on the winning team. Maybe he lost one of those water-wars we had at the studio but that was pretty much it. He could spend hours working out thr riddles of adventure-games or create new mazes in action-games for us to beat. On the August 30, 1998, Denniz PoP tragically passed away after a short battle with cancer. A silent minute was held in his honor the following Friday by all the DJ's around Sweden. Most of the featuring radio- and tv-shows he'd been on went on re-run. He was on the front page of every newspaper in Sweden and was mentioned in most newscasts around Europe. Crying fans gathered outside the Cheiron studio leaving flowers, letters, burning candles and pictures. He was missed by a whole nation of music lovers. And he still is. Denniz was active until a couple of months before the end, working with artists such as Five and Jessica. He remained playful at heart untill the very end and that is how he is remembered. His leagacy lives on through his music, extraordinary talent and skills and all the good times we shared together. But even though he is no longer here with us in person he is still a great part of our lives, music and inspiration. And though we still play, one of our greatest players is forever missing. Denniz is deeply missed and always will be.